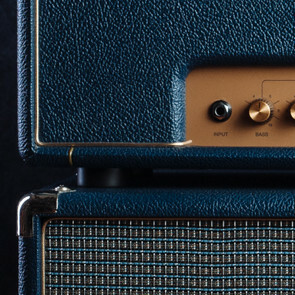 If you're after vintage sounds, this most versatile amp is for you! With only a 12AX7 preamp tube and a 6V6 power tube (for the 5W version), you have access to a whole lot of clean & crunch tones! The mode selector switch puts the 3-band EQ out of the signal path, allowing you to choose between a raw crunch sound (Tweed) and a pristine clean tone (BF). Additionally, the Sweep switch (only active in BF mode) increases the low mid response, for a more British tone. 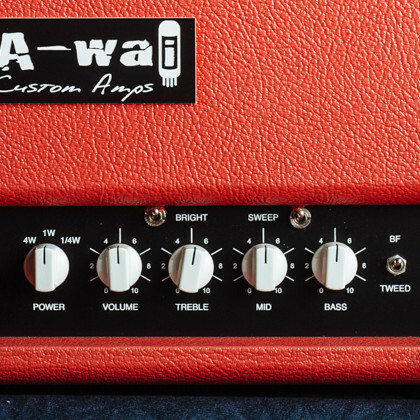 And to allow you to enjoy your amp at any time of the day (or night), we've put in a 3 positions attenuator on the 5W model, and an amazingly efficient master volume control on the 20-watter! British crunch sound at its best! 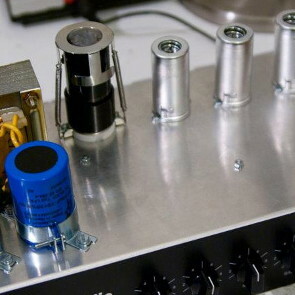 We've replicated the classic Plexi circuit in this portable, low-power amplifier head. You get the same controls you would find on the original, especially the dual gain controls, but without the awful weight of a 100W amplifier. A single ECC99 power tube on the 5W head, or dual EL84's for an increased 18W of output power, help preserve this amp's character in the bedroom or on club stages. And to get that raw rock'n'roll sound even at low volume, we've only traded the presence control for a progressive, transparent master volume control, which allows you to get a fair amount of that famous "power amp distortion" without making your ears bleed! Light weight, huge sound ! A small amplifier head to offer you the meanest sound, even at ultra low volume! Like our other Studio-series amps, this little monster was built to replicate the sound of a legendary amp in a small package : the lead channel from the famous 5150 amp! Perfect for modern metal sounds, it features a signature Depth control, for an increased low frequency response, giving that huge sound you never thought possible with an amp this small! 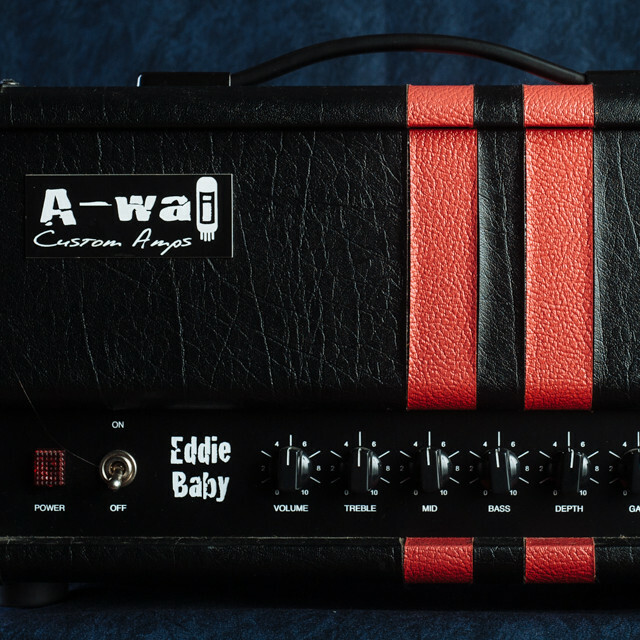 For all those who couldn't decide between the beauty of the American clean tone, and the power of the British crunch sound, here's the Raw Power! A no-compromise, stage- and studio-ready 20W amplifier that packs in the best elements from both sides of the Atlantic ocean. The clean channel gives you that classic, pristine clean Blackface sound, with a 3-band EQ, volume control and the unavoidable Bright switch. On the crunch channel, you will get the vintage Plexi sound, with our transparent master volume control allowing you to get that classic rock sound at any volume. And to top it off, we've added a Lead mode to the crunch channel, unleashing a pre-set gain and volume boost to bring you into heavy metal territory! 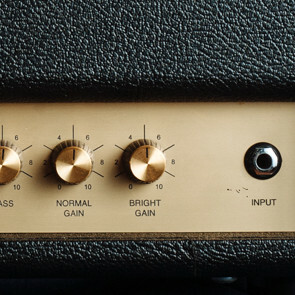 Simple and efficient, this amp is the boss' signature ! No frills, only 2 channels sharing a common equalisation : the crunch channel is strongly inspired by the sound of old Plexi amps, only a bit sharper to make you cut through the mix without effort. The lead channel, however, is made for huge sound ! Strong low-mids, with just the required bits of presence, and a ton of available saturation, making it a match for styles from 70's rock to the fattest stoner/sludge sounds ! Clean tones ? It doesn't know it... Just roll the guitar volume down, and enjoy this unique, slightly dirty sound, but don't look for a pristine clean sound : it's just not its way. A Master Volume will allow you to master the 20W its 2 6V6 put out, and an effects loop is available as an option. Because we know metalheads still need a beautiful clean sound at times, we have created this little beast. For less than 10kgs, you get a 2-channel 20W amp, powered by a pair of 6V6's, with every control you need to shape your sound to your taste! Aside from a full, bright yet warm clean tone, the lead channel has everything to allow you to create your sound. Of course you have the usual Gain, Volume controls and 3-band EQ, but we've also added our signature Fat control, which shapes the low-mid response. The Fat control allows you to get any sound from that modern, super-tight aggressive sound, to a filthy, warm, vintage-ish sound totally fit for stoner/sludge sounds. Add a Master Volume and a master Depth control, and you get the perfect amp for any style requiring a heavy sound! If versatility is your thing, then this amp is definitely for you! Being the most powerful and the most feature-complete amp from A-wai Amplification, you should never need any other amp. 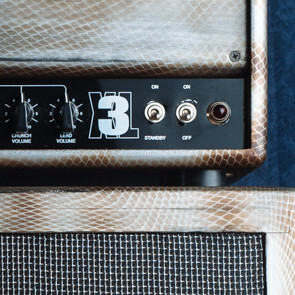 The 3-wai XL offers a clean Blackface channel with its own 3-band EQ, along with a Plexi-inspired crunch channel and a lead channel fit for all your heavy tone needs. Despite the crunch and lead channel sharing the same 3-band EQ, you will find a Fat control, active only on the lead channel, to allow you to get different voicings between these 2 channels. On top of that, we have included a parallel FX loop with a Dry/Wet control, and a progressive Master Volume control to really fine-tune the amp output level. 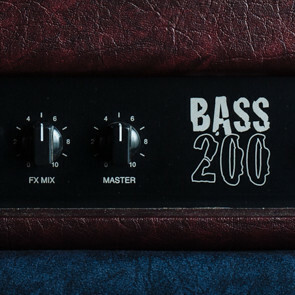 We know bass players need a lot more horsepower than others, so we created this 200W monster! Unlike any other amp you played, this beast can give you anything, from a soft clean tone to an aggressive, heavily distorted sound. By using its gain level selector along with the Gain, Volume & Power controls, you can tune precisely which area of the amplifier will distort, be it the input stages, the preamp output, or the poweramp phase inverter! Our Mid Scoop control provides a passive, semi-parametric mid control, to adjust the amp's voicing to your taste, and we added a parallel FX loop for all the pedal freaks to enjoy. The only question is: will you be strong enough to master it? 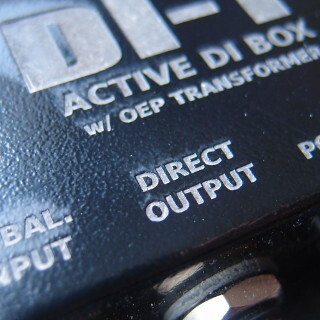 A feature-packed, active DI box designed especially for electric guitar & bass guitar! 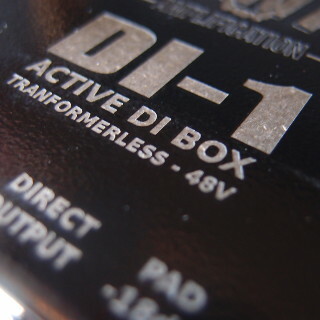 While this DI provides a classic transformerless balancing circuit, it features a class A, discrete FET input stage providing the correct input impedance to your guitar. 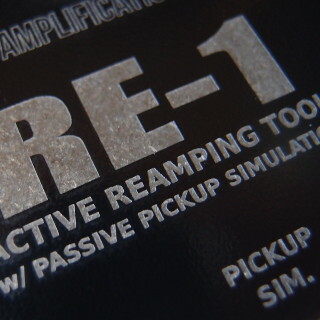 This ensures your tone will never get sucked out and maintains an extraordinary level of transparency. Furthermore, you can select the source type (amplifier or instrument) to adjust the input impedance and sensitivity accordingly. Finally, the additional Pad, HPF and Phase switches will give you more than enough options for your everyday work! This fully class A, discrete DI box uses a Lundahl transformer, for a perfect sound! 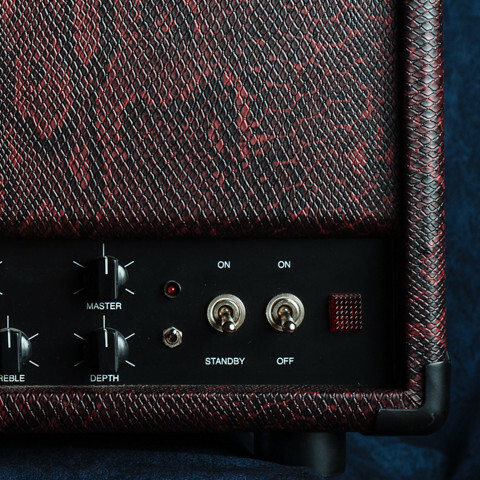 The simple, class A circuitry makes for maximum transparency & warmth, while the Lundahl transformer provides that little extra color your tone needed. As with each one of our products, the input impedance is optimized for electric guitar & bass guitar, and this DI also offers a buffered unbalanced output, allowing you to play your guitar in the control room, have a 100ft cable to your amp, and yet suffer no tone loss! Make your amplifier an even more unique piece of gear ! 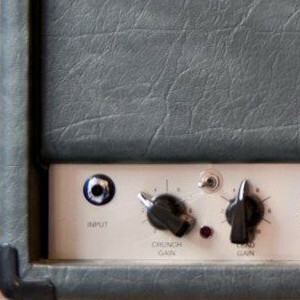 What if you could build your own amplifier by yourself? Well, that's something that we, at A-wai Amplification, are willing to offer you! 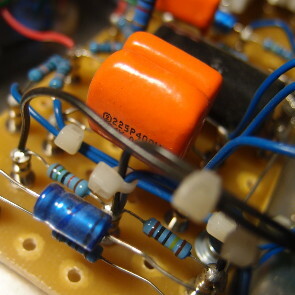 Additionnally, some of the most time-consuming tasks, such as drilling the chassis, will have been prepared before your arrival, so that you can focus on wiring your amplifier. At the end of the day, you will get a fully working amplifier chassis, built from your own hands ! The only thing left will be for you to find or craft an appropriate headshell or case for you amplifier. Unfortunately, that's right! In order to offer this service at no additional charge, we need to save on one of the more costly tasks : crafting and finishing the amplifier headshell. Therefore, the headshell and its finish will be your responsibility. However, we can provide you with a raw wooden headshell at a reasonable premium. As strong supporters of the sharing economy, and believing in the wealth that comes from the open source movement, we have decided to open source the schematics for our own amplifiers, and put them on our own Github repository. Thoughts and ranting about audio. 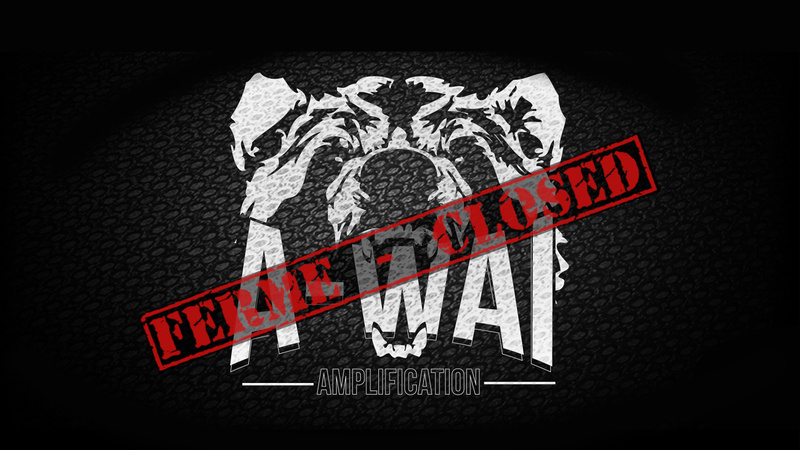 We created the official A-wai Amplification blog (French-speaking only, sorry) in order to offer you more transparency and communicate about prototypes and future products. It is also a mean to discuss technical elements, so that you can have a better undestanding of how tube amps work, and why we make certain design choices. I will still post my contributions to Github and Projet G5, but I will no longer be selling/building amplifiers.